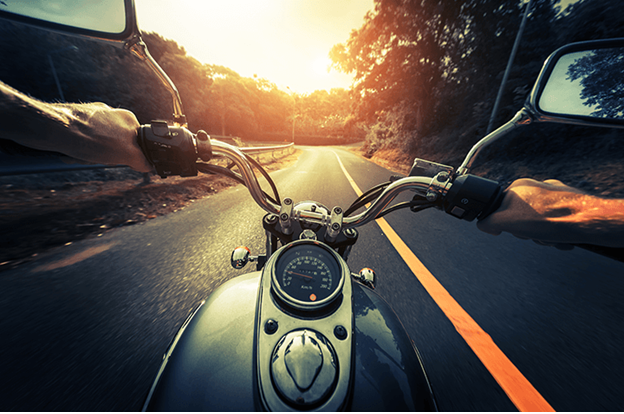 How Does Motorcycle Insurance Compare to Regular Auto Insurance? Motorcycles are associated with freedom and independence, but they also come with a fair number of rules. You have to wear a helmet, you have to have a valid motorcycle license and you have to have insurance. Here’s what you need to know about insuring a motorcycle. What types of insurance are available for motorcycles? Similar to purchasing car insurance, there are different types of insurance coverage available for riders and their motorbikes. Comprehensive insurance covers loss or damage to the bike from theft, vandalism and fire. Collision insurance covers damage from accidents with other vehicles, such as a car, a truck or another bike. Collision insurance also covers single-vehicle accidents. Liability insurance protects drivers from the expenses incurred from causing injury or damage to other people. How are motorcycle insurance premiums calculated? Insurance premiumsare based on the risk involved for the insurance company. The higher the risk, the higher your insurance premiums will be. When calculating the cost of your annual premiums,the insurance company considers several factors, both personal and vehicle-related. They will take your age, place of residence,your past driving recordand your history of filing insurance claims, into consideration. The insurance company will also look at the make and model of your bike, the frequency of use, the purpose of the bike (sport versus leisure) and the cost of the bike, along with any enhancements. Many of the factors that determine insurance costs for a motorcycle are the same as those that determine regular auto insurance. In general though, insurance for motorcycles is more expensive than for other vehicles. Basically, the danger (especially to the driver) is judged to be greater when driving a motorcycle than a car, and therefore, is a riskier proposition to the insurance provider. How can riders lower the cost of motorcycle insurance? There are several ways riders can help lower the cost of motorcycle insurance. First, you can shop around to find the best price for the coverage you need. Be sure to compare apples to apples and don’t be afraid to ask questions or push for applicable discounts. It also pays tocompare the costs between different insurance providers. The second way riders can lower their motorcycle insurance premiums is by taking driver’s education. Find a school that specializes in motorbikes and enroll in the course. Being educated helps lower the chances of being in an accident, which lowers the risk for the insurance company, and in turn, lowers costs for the rider. The third way riders can lower their insurance costs is to accept a higher deductible. The deductible is the amount of money you’ll need to pay out of pocket for the repair or replacement of the bike when you file an insurance claim. A higher deductible leads to lower insurance premiums because the insurance company is lowering their financial responsibility when paying out a claim.